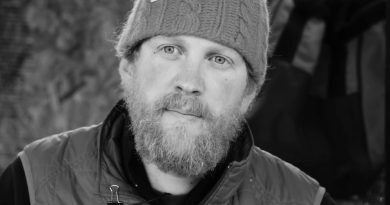 Out of the thousands of outdoor enthusiasts applying for the History Channels $500,000.00 survival challenge on “Alone” in Season 1, one contestant by the name of Joe Robinet had one thing going for him making him stand out in this crowded field. 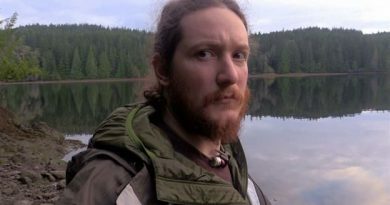 Already having a successful Outdoors You-Tube Channel dating back to 2007, (over 70,000 current subscriber’s) Joe was perhaps one of the producers easiest decisions when deciding on the final ten contestants to Survive Alone on Vancouver Island. What ten items would you bring if you appeared on the Alone Show? 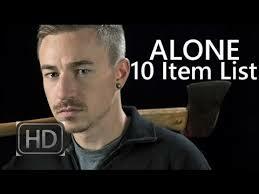 In the video posted above from the Joe Robinet Bushcraft YouTube Channel, Joe goes into detail talking about the ten items He brought on the Alone Show, and more importantly why he chose each item. While I wouldn’t choose extra food rations from the list posted below and instead take an extra gill net, bow saw or maybe an extra fire steel, (sorry I couldn’t resist) Joe’s explanation made perfect sense guaranteeing another weeks-worth of surviving on Vancouver Island. Unfortunately, as we already know, Joe’s time on Alone Season 1 was cut short after losing his fire-starting ferro rod. With no other way starting another fire other than the one already lit, Joe’s motivation to survive Alone on Vancouver Island went up in smoke. I only wish he wouldn’t have filmed his official tap-out with a blazing fire burning in the background. Joe has another video on his You-Tube channel talking about his state-of-mind after losing this very valuable survival tool. If you’re a Fan of the Alone Show, then it’s worth watching Joe’s video explaining what made him tap out of the competition so quick. On a scale of 1 to 100, what survival rating would you give Joe Robinet after his appearance on the Alone Show?